Nigerian Naira ended Tuesday at a record closing low of 189.20 against the dollar ahead of the first central bank monetary policy meeting of the year, dealers said on Tuesday. On Monday, the currency closed N187.10 to the dollar. Dealers said the currency was 1.1 percent down on the day, despite a central bank intervention to prop it up, owing to a lack of dollar liquidity and apprehension ahead of the meeting. 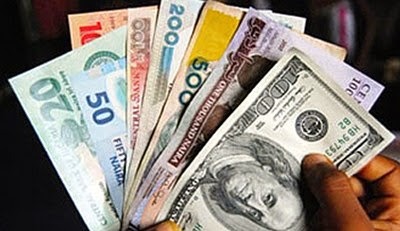 On Monday, the Naira, which has been hammered by the collapse in oil prices, fell 3.6 percent to a record low of 191.85 before recovering some ground after the central bank, two domestic banks and an energy firm sold dollars, according to dealers. Banks suspect that the central bank may opt for a repeat on Tuesday of its November devaluation. Oil was at $79 a barrel on Nov. 25 when the bank lowered its target band 8 percent to 160-176 to the dollar, but since then it has dropped more than a third, exacerbating governor Godwin Emefiele’s concerns about dwindling reserves. Crude accounts for 95 percent of Nigeria’s foreign exchange. However, with national elections less than four weeks away, analysts said it was not a given that Emefiele will devalue again on Tuesday. The announcement is expected around 1330 GMT. “Another devaluation is on the cards but the timing is still a bit unclear,” said Ridle Markus, a sub-Saharan Africa currency strategist at Barclays Africa in Johannesburg. According to its website, the central bank spent $28 million a day last year trying and failing to defend the naira, which dropped 13.2 percent during 2014, including the one-off official devaluation. Foreign reserves stood at $34.5 billion last week, a drop of 20 percent over the year. Compounding Abuja’s problems, JP Morgan said last week it was re-assessing Nigeria’s inclusion in its key emerging market bond index, putting a question mark over one of the government’s few non-oil sources of funding. i actually changed at 191 two weeks ago!